Heavy duty base. 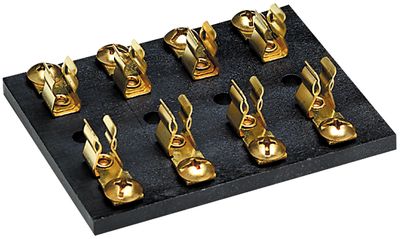 Brass fuse clips and contacts with #8-32 screws. For SFE 20A or 3AG series fuse.